This class will have you finishing your own quilts in the hoop on your embroidery machine! Bring a wall hanging or whole cloth quilt sandwiched and basted (spray or thread basted; No safety pins! 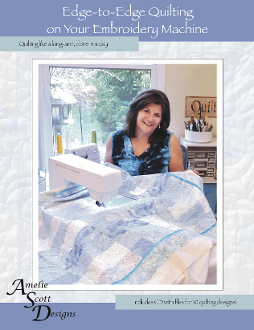 Use your embroidery machine to achieve beautiful Edge to Edge quilting designs with proven techniques!